Snoop doggy-dog! Bow wow wow! Yippee yo! Yippee yeah! Snoop-a-loop. You can bring your green hat if you want! Pretty cool picture! He’s a tall dude. I’m not gonna lie…I named my cat after Snoop 3 years ago. 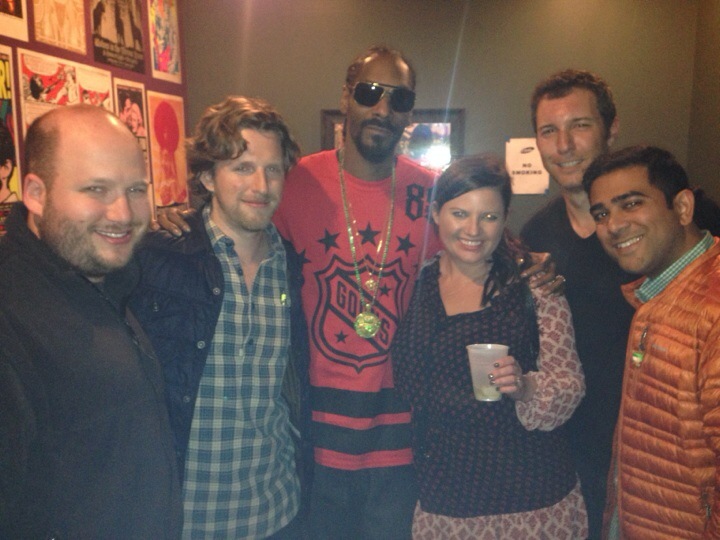 I want to meet Snoop Dogg. When’s he coming to Australia next I wonder. You all are looking cool!!! Enjoy!! Snopp dogg is one of my favorite people. He is smarter than what people think. must have been great to seen her? The Dawg over there Snoopy.